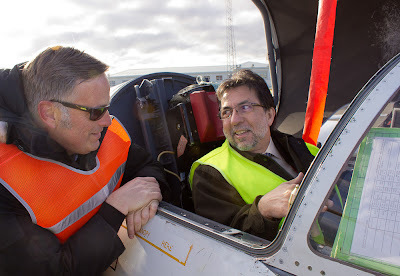 It was quite thrilling to witness the preparation of one of NASA’s high altitude flights to test measuring devices that are likely to be deployed in 2014 when NASA launches a new satellite that will orbit the North and South Poles to measure the thickness of the ice of both caps. The research will be critical to an understanding of the effects of global climate change. The NASA team told me that cooperation from the Icelandic ground team was superb and that there is even talk about returning to Iceland to do additional research. A couple of days later, Reykjavik University hosted the NASA team prior to a presentation to a group of students. The rector of the University, Ari Jonsson, who is a former NASA employee introduced and welcomed the NASA team. Considering that we are very close to the end of the year, when everyone is busy with final exams, it was impressive to see a room full of students eager to listen to the NASA team. It is hard to describe what is like to be in Harpa's Eldborg listening to two of America's jazz legends: Chick Corea and Gary Burton. 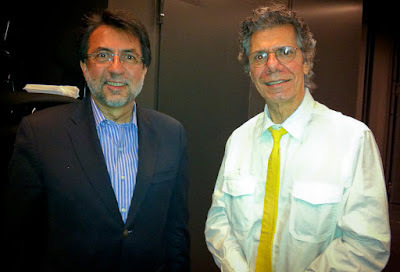 They treated the audience to a virtuoso performance that included some of the old time favorites and lots of pieces from their most recent album. Tastes will differ, but I really enjoyed their version of Eleanor Rigby and Corea's "Mozart Goes Dancing." The audience showed Icelanders’ love of jazz when Gary Burton asked people in the audience to raise their hands if they had attended a concert he gave back in 1980; quite a few hands went up. The special treat of the evening was going backstage and meeting the master himself. We hosted a reception for a group of American and Icelandic women entrepreneurs and educators to provide an opportunity for networking and sharing experiences. From the United States we had an impressive group that included Marie Therese Royce, senior executive with Alcatel-Lucent; Tina McCracken, owner and manager of a family-owned home building business; Marita Thompson, Senior Contract Negotiator; Barbara Shuster, senior executive with Marriot International; Dr. Kathleen Brown, education consultant and horse enthusiast; and Valerie Callanan, professor of Sociology at the University of Akron. Valerie marked the occasion by presenting me with a stuffed kangaroo, Zippy, her university’s mascot. Our Icelandic guests included executives and entrepreneurs from a broad range of sectors including whale-watching, travel and event organizing, the airline industry, the arts, fashion, software development, beverages, business consulting, personal coaching, and diplomacy. It was quite impressive to witness how quickly our guests connected, found common ground, and identified opportunities for their respective companies. I would not be surprised to learn that long-lasting friendships began at the gathering. Iceland takes the summer very seriously and celebrates its arrival with many celebrations all over the country on the third Thursday of April. Non-Icelandic readers may find the date a bit premature but I can assure them that it makes perfect sense to do it this early (the sun rose at 5:36 am and set at 9:17 pm). I had the pleasure of spending a few hours at Asbru (the old U.S. military base) near Keflavik where it has become a tradition to invite everyone to visit the area and to take part in games, shows, performances, and other fun events. This year, the organizers honored the United States by calling the event “America Day”. We were very pleased that several of the NASA scientists conducting global warming research from Iceland could spend a few hours explaining the research they are doing and showing some of the equipment used by its pilots. 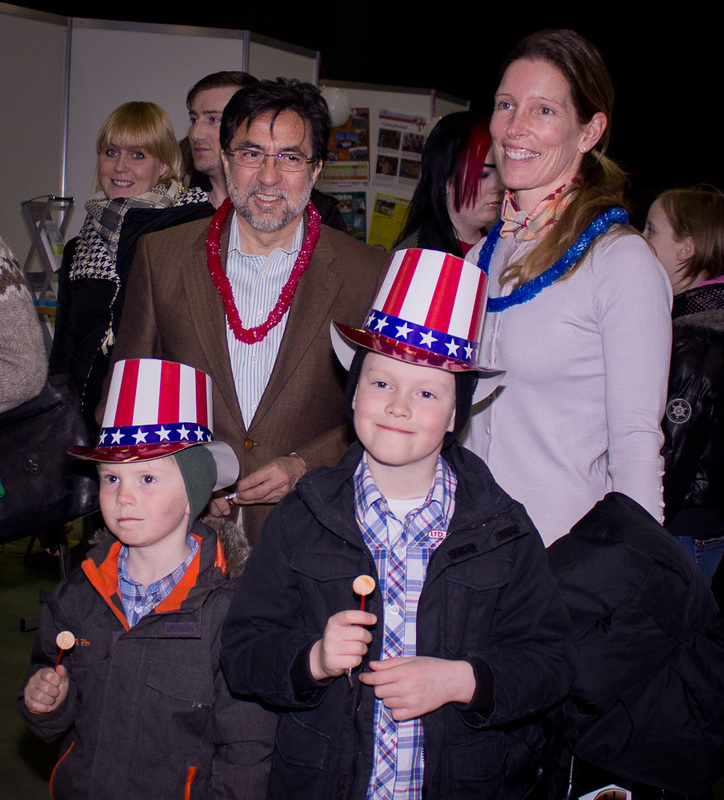 As my wife and I visited and enjoyed the booths, games, shows, exhibits, and other fun events and saw hundreds of families with their children, I could not help reflect on the deep bonds between Americans and Icelanders. The event itself is a shared tradition that was born out of Iceland’s celebration of the first day of summer and the American tradition at the base to celebrate Carnival with an open house. It was a fun day and a reminder of the ties that bind us.